Are you a beginner to crochet or perhaps just want an easy to remember small project that you can do in a small amount of time? This is a pretty quick and useful project to work on when you don’t want to think too hard or have only a little bit of a time to do a project. 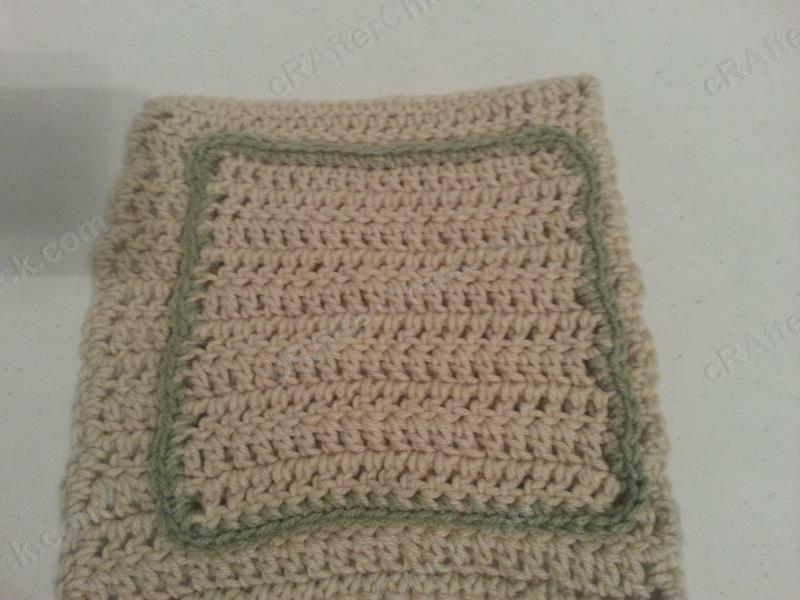 I make up little gift packages of washcloths, hand towels and face cleaning pads to give to loved ones as gifts in a gift basket. 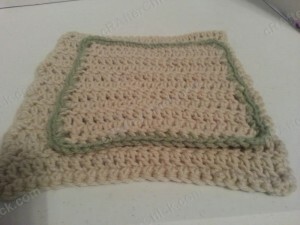 Once I first used a crocheted washcloth on my face no other washcloth would do. They feel a little decadent and are so soft. I do recommend washing them pre use or wash them with baby shampoo. That makes even the roughest yarn soft, pliable and not scratchy any more. 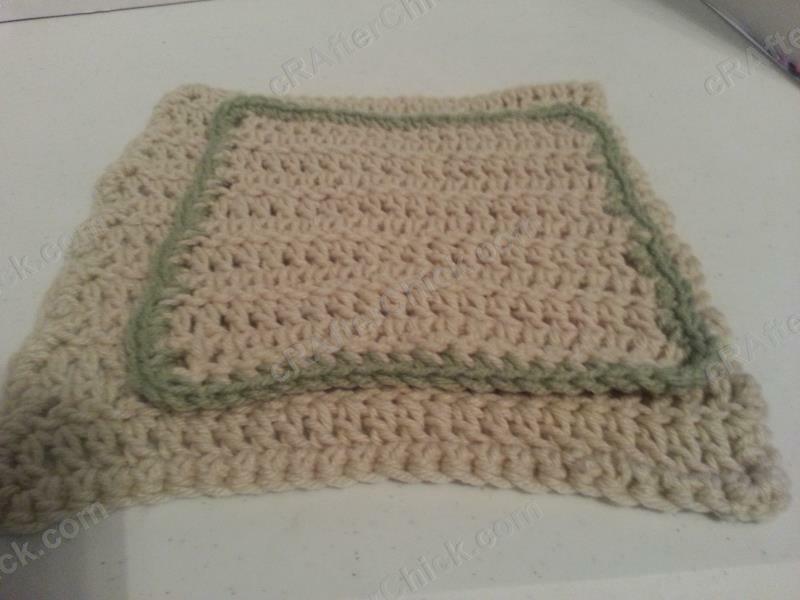 This page includes pattern instructions for both washcloths shown in picture for page. 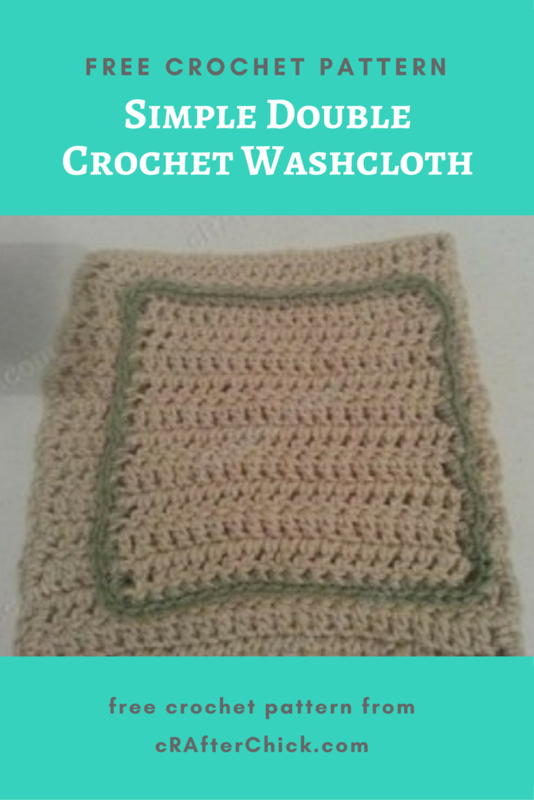 One is large to extra large sized solid color washcloth while the other is a small to medium sized washcloth with a contrast colored trim. You can choose to add or subtract the trim on either. You may even wish to make your washcloth body striped. 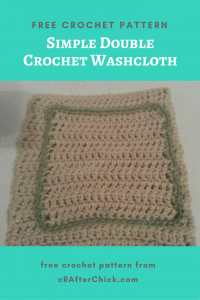 For large stripes, switch colors every 2 rounds of washcloth base, for skinnier lines switch color every round of washcloth base. Round 15: Make 1 sc in each st across to corner, make 3 sc in corner, working counter clockwise around piece, place 2 sc in side of each round’s dc down to bottom, 3 sc in corner. Continue this until pattern until you are back at beginning. Sl st to first sc in round. Cut yarn before pulling through to fasten off any yarn tail ends. Fasten off your main color yarn for the washcloth and attach your contrast color yarn to piece where you left off with a sl st. Round 11: Ch 1 before Sc in first st and make 1 sc in each st across until corner, place 3 sc in corner before continuing to work counter clockwise around your piece. 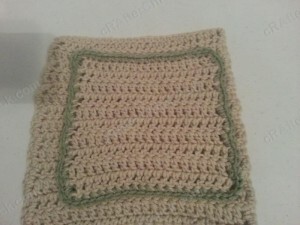 On sides of rounds place 2 sc in each of the dc down the sides of the washcloth, placing 3 sc in each corner until you end up back at beginning of this round. Sl st to the top of the first sc in round. Cut yarn, pull through and finish off with yarn needle.